Wheelers Hill is one of the highest points in metropolitan Melbourne, with parklands making up 31 percent of the total area. All this greenery makes for stunning scenery, but it also means hiring a professional gutter cleaner in Wheelers Hill is more important than ever. Once autumn rolls around, all those trees can result in some serious debris build-up in your gutter if it’s not cleared out regularly, paving the way for potential damage to your property. At LeafVac, we offer professional gutter cleaning services for Wheelers Hill residents at affordable prices. As a family owned company, providing high quality services with lasting results is our highest priority. It is our pleasure to use our state-of-the-art gutter cleaning machinery to ensure the structural soundness of your property and help improve the safety and comfort for all your residents. When booking a professional gutter cleaning with LeafVac, we visit your property to assess the condition of your gutters, roof and drainage system and provide you with a quote accordingly. 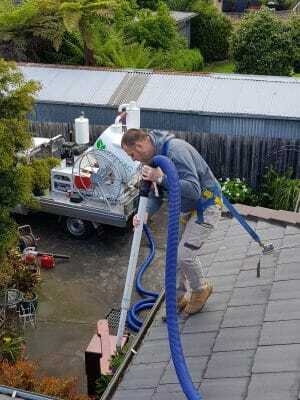 We then use a high-powered vacuum excavator to clear your gutters of all dirt and debris as quickly, quietly and effectively as possible, providing you with a before and after photo so you can see just how effective our process is. Our staff are fully qualified and insured, guaranteeing customer satisfaction every time. Contact us on 0455 488 837 to book your professional gutter cleaning in Wheelers Hill today.